” It’s the 18th of January — A breeze of solitude sweeps the air, the ground is blanketed in a sea of white, and as we begin to transition into the new year we get excited, ambitious, and creative. It’s easy to imagine spring just around the corner with all of Mother Nature’s magnificent beauties. Anticipating and planning the spring garden becomes an inevitable task. What new fruits,berries, or nuts will be added this year? Where will they go, and how will they fit into the larger garden ecosystem? One group of plants that comes to mind is the Ribes genus; This is an extensive genera but a few of it’s members that merit special attention are Black Currants, White Currants, Clove Currants,Gooseberries and what we will be highlighting today: Red Currants. American Red Currants (Ribes triste) and European Red Currants (Ribes rubrum) are both worthy of cultivation. 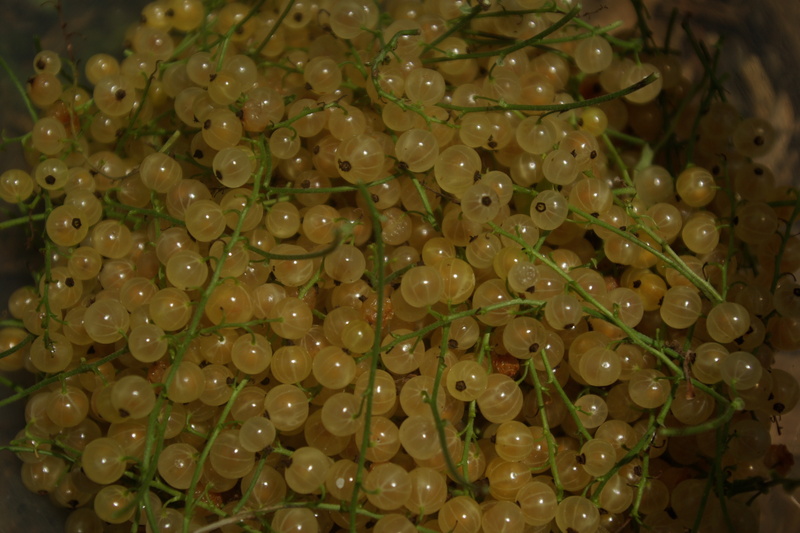 Currants have been a longtime mainstay in much of Europe, and are finally regaining attention in America. Indigenous people of North America have been utilizing these amazing plants for millenia as both a food and medicine. As interest in new food plants continues to grow, so will the revival of not only Red Currants, but the entire Ribes genus.What follows is an informational video from last summer’s crop of Red Currants. 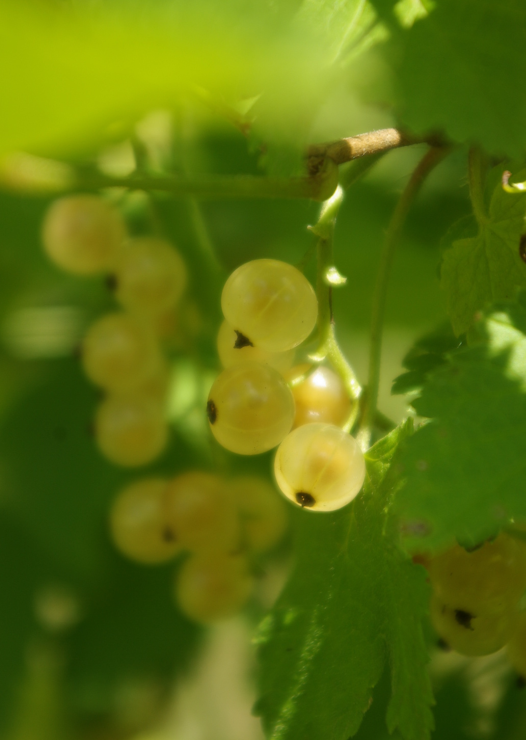 Other members of the Ribes genus including green/red gooseberries, white currants, and jostaberries– a cross between gooseberry and black currant. Red Currants have a wide spectrum of uses all the way from fresh eating, to jams, jellies, marmalades, pies, fruit leathers and wines. They go wonderfully mixed with oatmeal or in ice cream. Each application has it’s pros and cons, but the amazing health benefits can be gained with each. For those who are unfamiliar with the unsurpassed flavor profile of the red currant, it can be described as having the perfect balance of sweetness and acidity with unique citrusy notes and a subtle musky undertone. Being very high in Vitamin C, they are a vital medicine for improving the health of the immune system. Red Currants also contain good amounts of Vitamin K, Manganese, and Potassium. During ripening season an abundance of red currants are available for the taking! Red Currants grow on a medium sizes shrub that reaches an average size of 4-5′ X 4-5′. Plants are hardy down to Zone 3. Over time they have a tendency to spread by burying branches and rooting where they make soil contact, this process is known as layering. If encouraged, layering can be used as a surefire way to expand your currant planting. The ornamental presence of these compact bushes is perhaps one of their most respected attributes, because after all we must remember that beauty is an important garden function! Their dense foliage bares resemblance to that of a maple tree or high bush cranberry. In early spring their small inconspicuous white flowers appear in clusters, leading to a bountiful display of blueberry sized red berries that ripen throughout June and into July, differing from cultivar to cultivar. The variety ‘Johnkeer Van Tets’ is the earlist ripening. When glistening in the sunlight the berries look like translucent jewels dangling from the bush. They grow well in a variety of soils, but generally prefer soil that is slightly alkaline and well drained. Adding compost and wood ash around your plants will increase yields. Red Currants are one of the few plants that will bear fruit well in shade. Currants can be planted as single specimen plants or 2-3 feet apart to form an attractive hedge. White and pink Currants are really just unique strains of Ribes rubrum. Wild red Currants growing in the understory of a mulberry tree, demonstrating their ability to thrive in the shade. What an excellent plant for the Edible Forest Garden!? 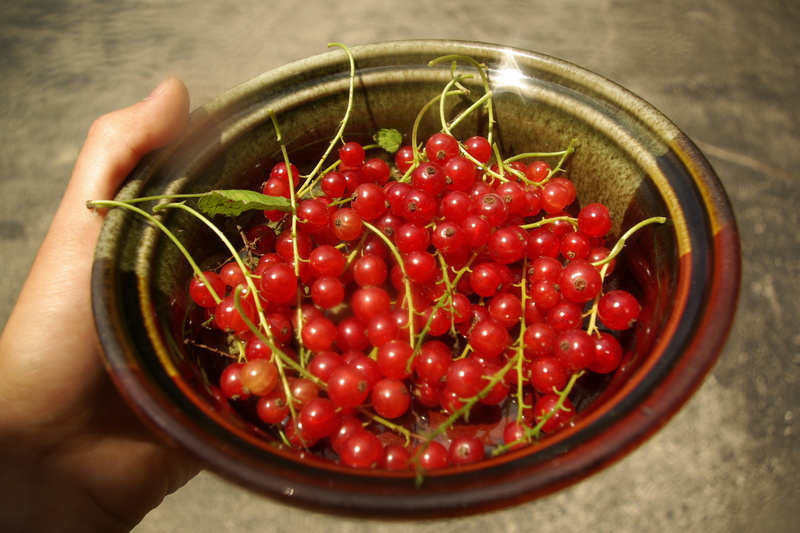 For the past 4 years I have been eating red currants and enjoying them to a great extent. I’ve harvested them from the wild and from the cultivated varieties (AKA cultivar) growing in my own garden. 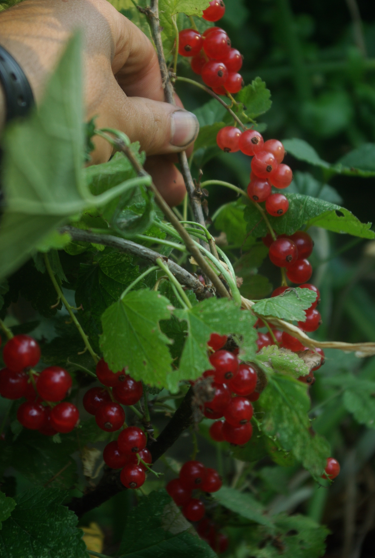 I will reiterate by saying that white and pink currants are variants of red currant and are the same species, R. rubrum. The flavor of white and pink currants is almost identical to red, maybe a little sweeter and less acid with some cultivars. I have all three in my garden. Currants contain high levels of citric and malic acid, making them very tart. Personally, I enjoy the energized feeling after indulging in a handful of fresh currants. Some only consume them cooked down with sugar. Red currants are very nutritious and medicinal. Now, onward with my experience growing these wonderful berries. tartness. From my experience, ‘Rovada’ does not fare well against aphids or leaf rollers—two common pests of red currants. My ‘Rovada’ bush was in nearly full shade and yields were not compromised. 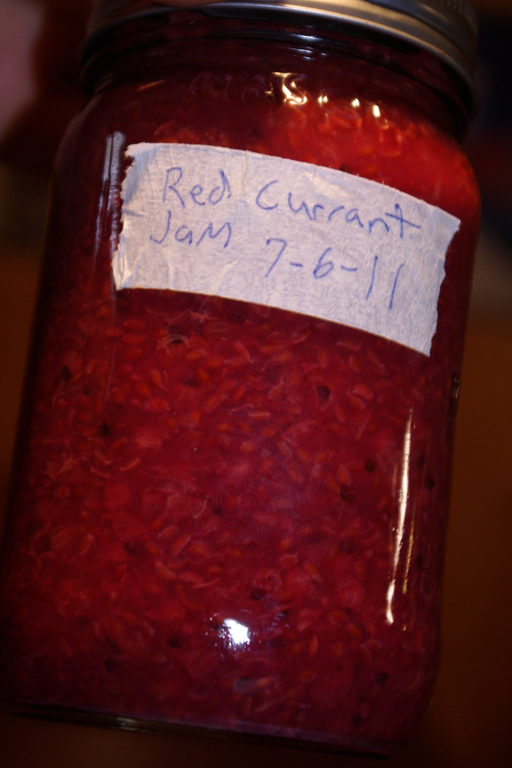 This season I processed my Red Currants into low-sugar jam for winter enjoyment and popsicles for cooling off during the rest of the summer(July onward). Maybe next season I will try my hand at becoming an épépineuses! hardly noticeable. Perhaps it was being sold under the wrong name. If you want to grow pink currants, then try out the cultivar ‘Gloires des Sablons’ as well. 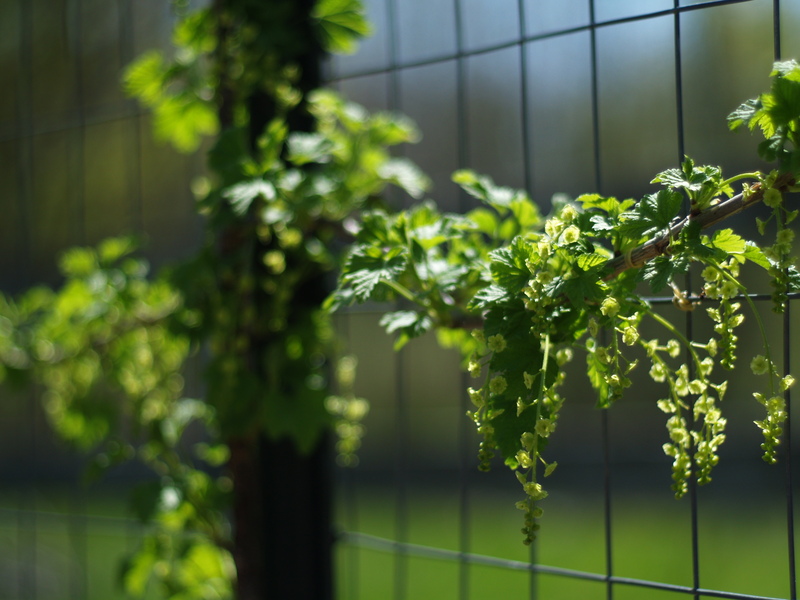 I have trained my pink currant as an espalier along the garden fence. I was inspired by Lee Reich to utilize this space-saving training technique. 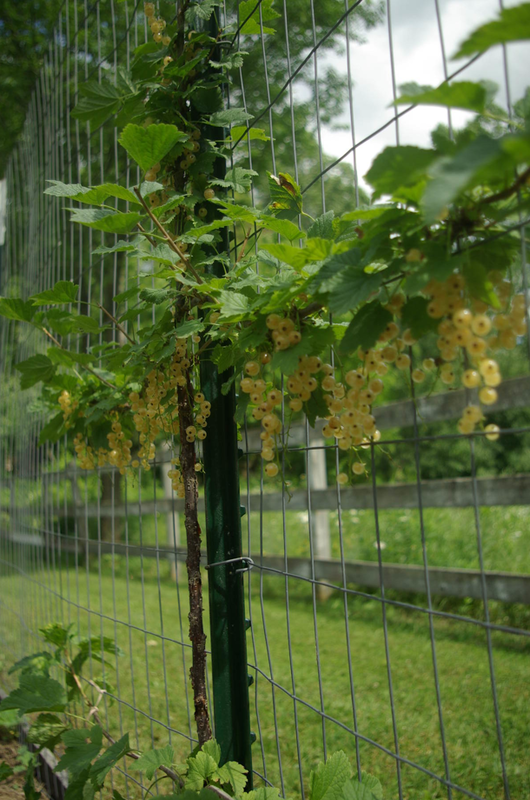 Instead of being a 5’x5′ bush, it is trained similarly to a grapevine—occupying only vertical space. continual supply of fresh berries. The ladder of which you will find with the cultivar ‘White Imperial’, which ripens a few weeks before ‘Primus’. This cultivar did not have a single aphid on it’s leaf surface. Either the birds like to eat the berries or they drop prematurely because a lot went missing in my garden. Maybe they vaporized. There is a chance White Imperial will be removed. ‘White Cherry’ is the other cultivar which I’ve planted. This variety came from the USDA, however I haven’t been able to properly evaluate it due to immaturity. Overall, I am very pleased with white currants. Soon it will be time to start pruning the currants, and after that we will have a lot of hardwood cuttings for propagating. Currants are one of the EASIEST plants to propagate from cuttings and layering. A friend says ‘If you’ve taken currant cuttings and had a 95% success rate, then you’ve done something wrong!’. This statement vows for their ability to readily take root, even without a rooting hormone. Cuttings are an easy way to start your planting, especially if you know someone with mature plants. Take 6-10″ long, pencil width cuttings in late winter-early spring(when plants are still dormant), and place them in nice loose soil with at least 3 buds above the ground. To learn about different cultivars of red, white, and pink currants click here. 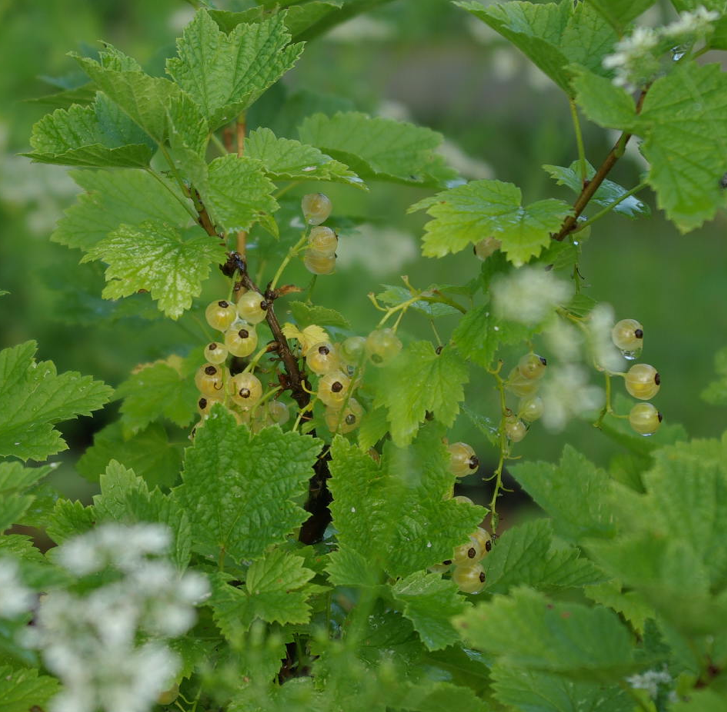 Visit the Links page to find sources for purchasing currant bushes. I encourage you to comment and share your experiences with growing red, white, and pink currants. Happy gardening! ALL PHOTOGRAPHS ARE UNDER EXCLUSIVE RIGHTS OF TREVOR NEWMAN UNLESS OTHERWISE NOTED. Also a couple of links on your articles page are broken. Moreover, there’s loads of excellent information here, thanks a lot guys! THank you for bringing this to my attention! Will get those fixed ASAP.